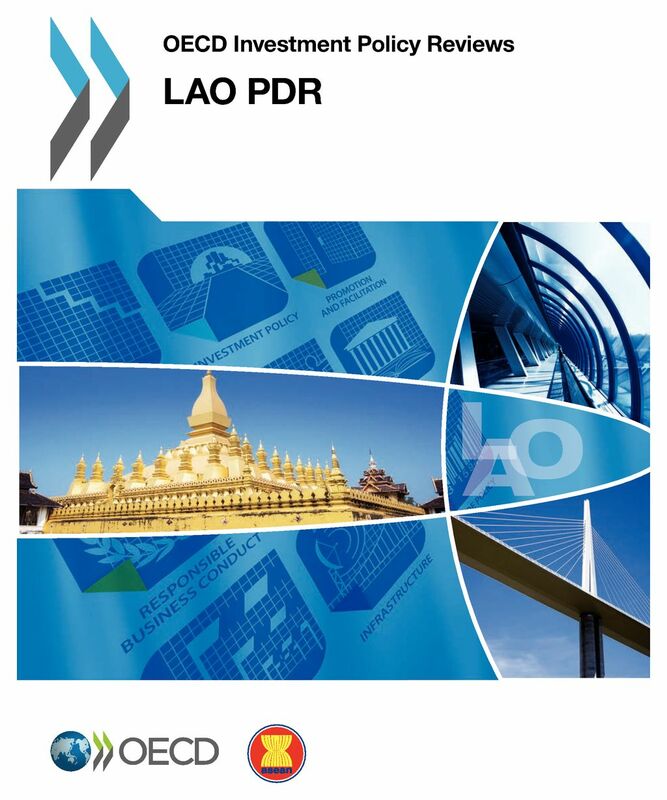 This first OECD Investment Policy Review of the Lao People's Democratic Republic (Lao PDR) uses the OECD Policy Framework for Investment to present an assessment of the investment climate in Lao PDR and to discuss the challenges and opportunities faced by the Government of Lao PDR in its reform efforts. It includes chapters on trends in foreign investment and trade, the legal framework for investment, regulatory restrictions on foreign investment, corporate governance, investment promotion and facilitation, promoting and enabling responsible business conduct, infrastructure connectivity and the investment framework for green growth. Link: To download this document or to read it online at the source, click here to go the OECD site.